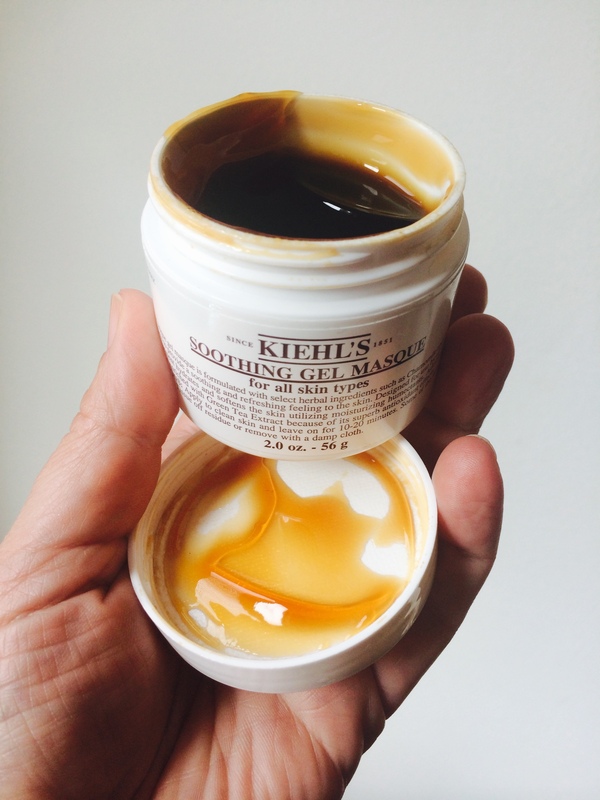 Kiehl’s: Don’t Judge a Soothing Gel Masque By Its Colour | Bright & Beautyfull! It is a little bit urghy. 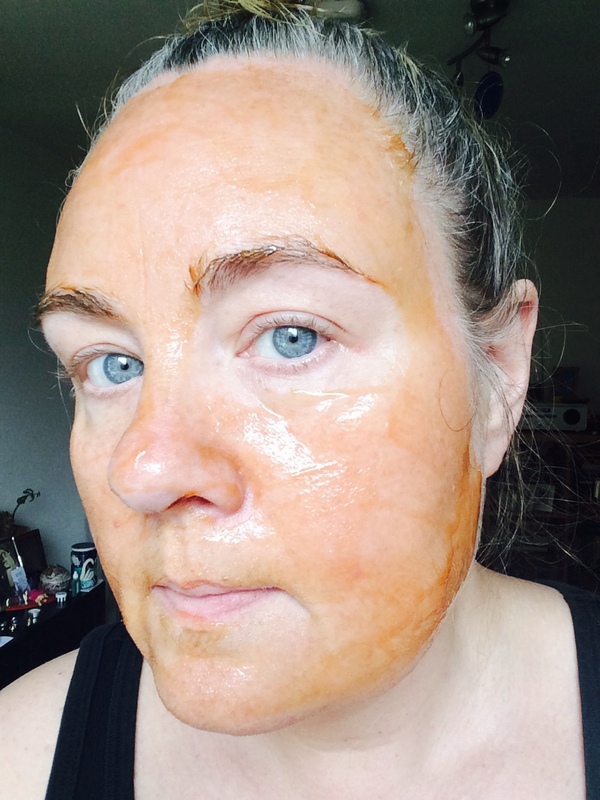 Not that I am averse to putting darkly coloured stuff on my face, as witnessed here and here, but there was something about this — the texture? — that is slightly ick. 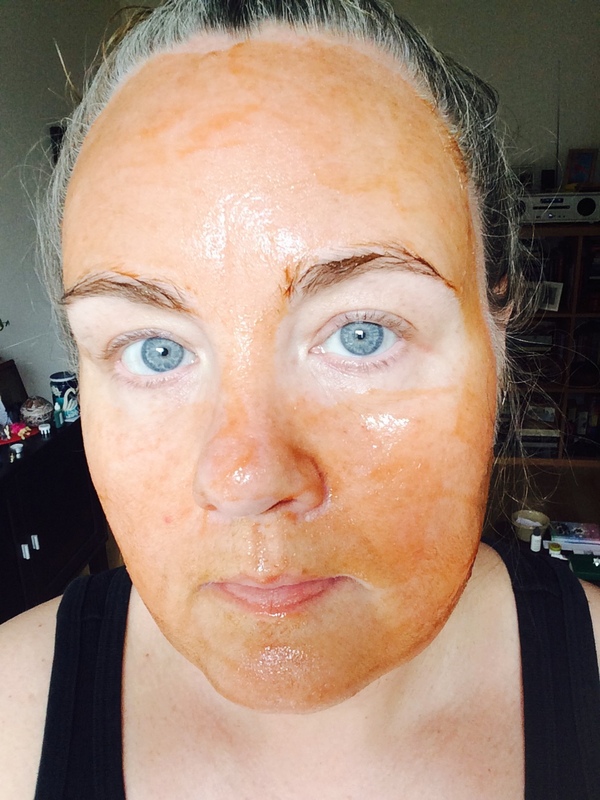 My first impression was that it doesn’t look all that different to a fake tan application — which observation might give me pause as I enter into fake-tan-testing season. It felt deliciously cool; didn’t feel sticky; was light as a feather; and felt hydrating as all get out. It’s got green tea in it, and I have to say, I was happy enough to lounge around, letting it do its thing for the prescribed 20 minutes. Rinsing it off was slightly troublesome. 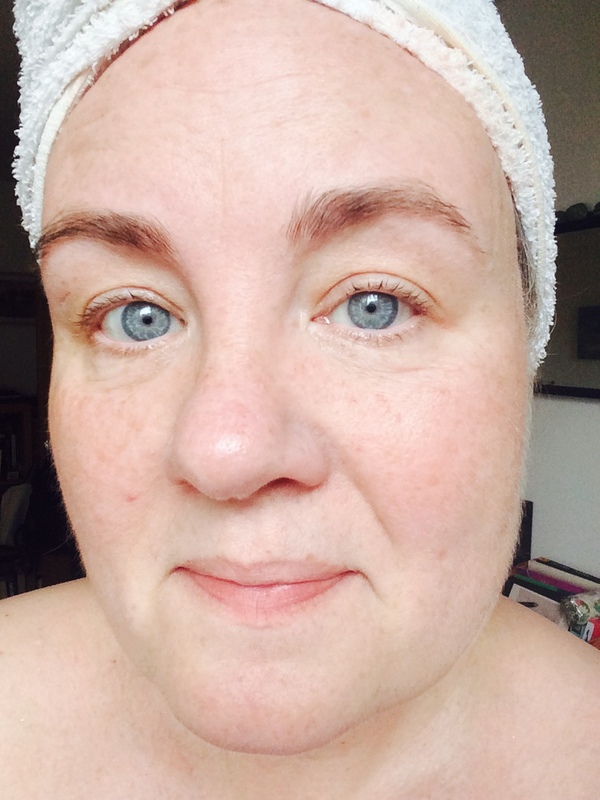 I didn’t want to get the goo all over one of my few white face cloths, and tried to rinse with water from the tap. Eh, not so good. I was showering anyway, and that took care of the last of it, but I did find that it wasn’t great to rinse off over the sink. Shiny, happy person! I am not a fan of super-sensitive-skin-anything, because I’ve got the hide of a rhino, and they make no impression whatsoever. This, though: this felt like a healthy treat, as soothing as it claims to be, and one I would recommend to pals who flare up at even the sight of a masque.